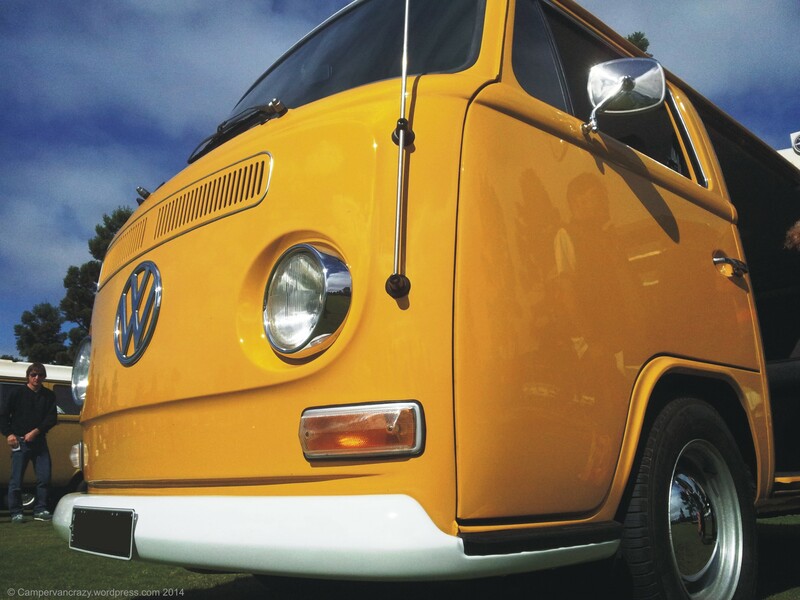 I saw this beauty at the National VW Bug-In at Geelong this April. 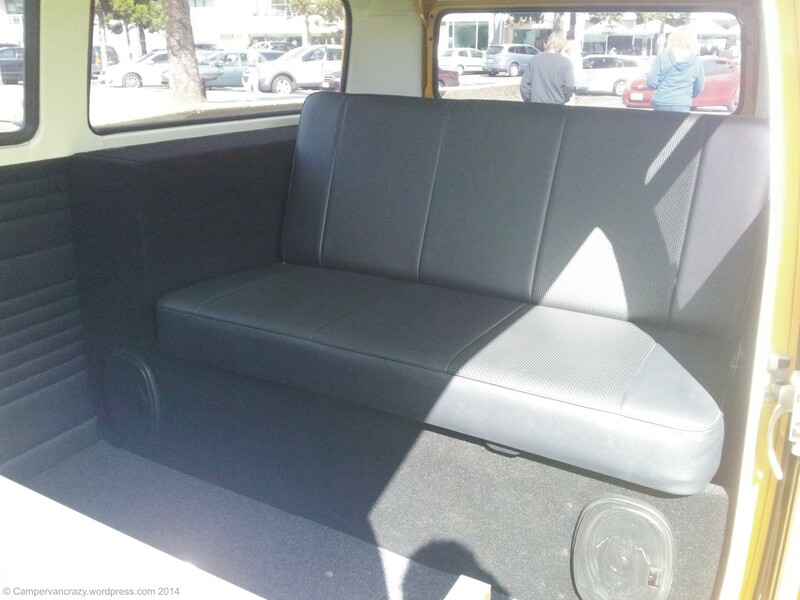 It was delivered as a new car to Geelong in 1973 and is still in the hands of the first owner. How cool is that? The complete history of the car in one hand – no previous owner to blame if something is somewhat wrong. Not that anything is wrong with this car. 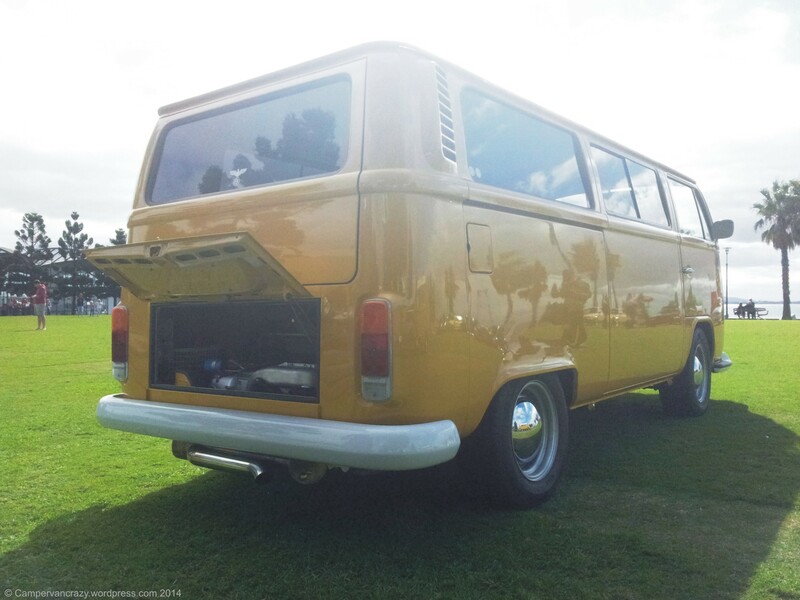 The owner had it restored recently and it now beams as if it has just come from the production line. Perfect in every detail. 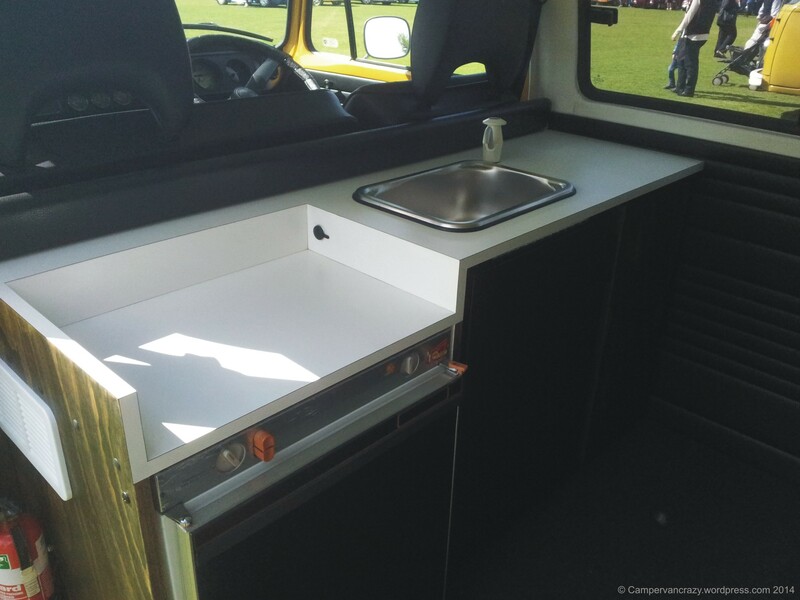 Minimalistic campervan conversion with bed-bench-combination (very neatly re-upholstered) and a kitchen block with sink and fridge behind the driver’s cabin. 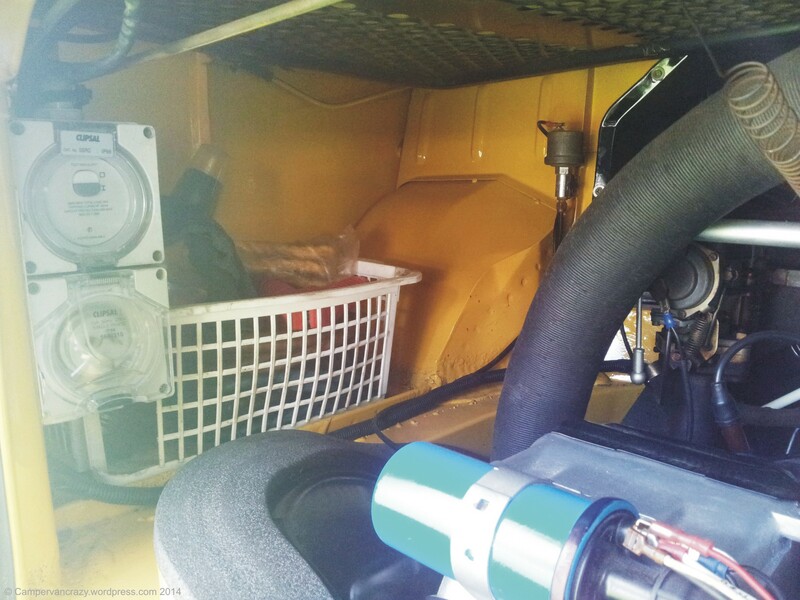 Interesting installation of the 220V-inlet, hidden on the left side within the engine bay, avoids cutting any extra holes into the body of the car. 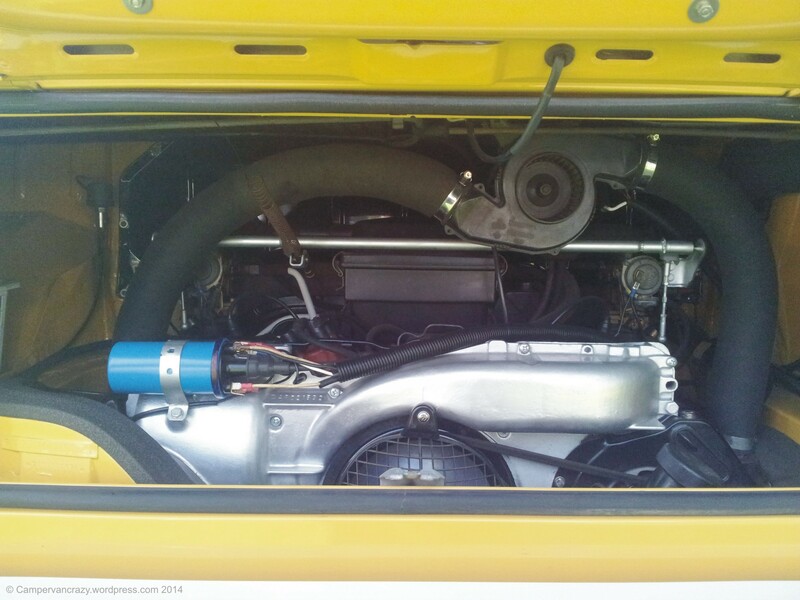 Super-clean engine bay and engine itself (AP motor). Dashboard with a series of additional instruments below the radio. Some kind of non-original exhaust system. The color could be Sierra Yellow (L11H). 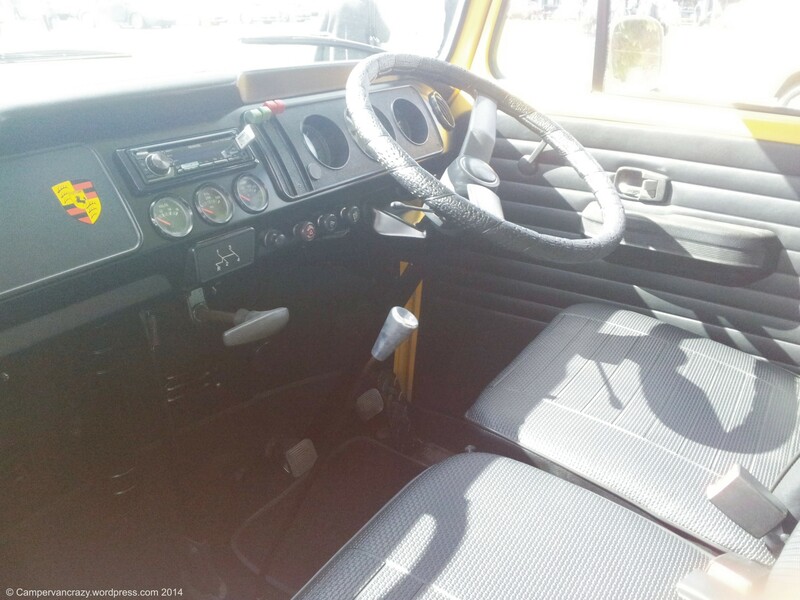 The bus is actually an early bay/late bay (T2a/T2b) hybrid, with the front mask and the bumper bars still from the early bays and the rear air intakes and rear lights already from the late bay window version. I understood these models came from the transition period around 1971-1972. But that would probably also fit with delivery of this car to Australia in 1973. What a wonderful bus! 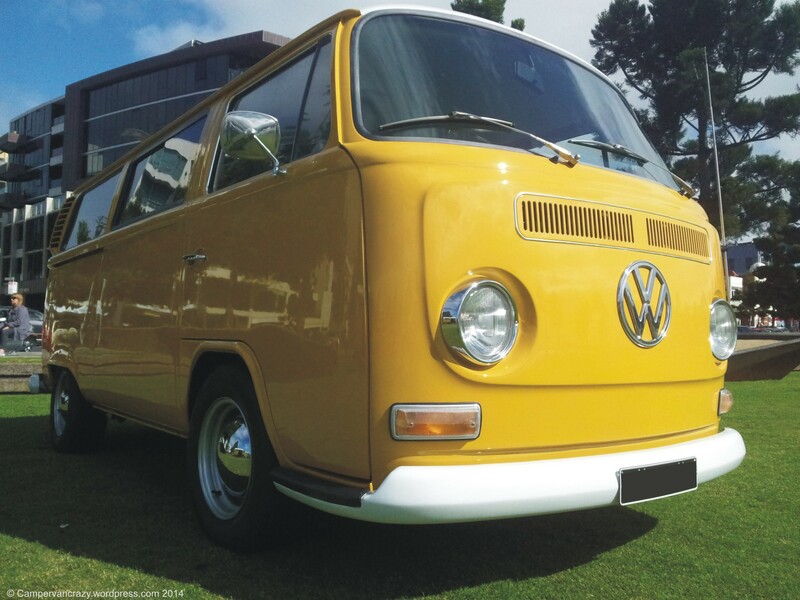 Added July 1st, 2014: I wasn’t at all aware of this, but VW buses of Australia actually feature some original colors which have never been used by Volkswagen in Germany or Europe. You can find a list of a these colors and their paint codes at this page of the Australian Club VeeDuv. Bottomline is that the color of this bus is not Sierra Yellow but probably Mustard (Dulux colour code 13974). Thanks to Greg for pointing this out in the comment below!